Let me start off with I am SO sorry these took so long! I have been backing up & transferring everything off my computer & totally lost all of these photos. I’ve been working so hard to find them & FINALLY I did! Normally these have their own posts, but because I took so long here are the last 2 together! No more waiting! If you missed my other swatches, I will have them linked below! Sally Hansen Lustre Shine in Moonstone: A white peal that leans purple, green, pink, & blue. Not heavily duochromed but most visible in the shade. I have this swatched over black except on my ring finger where it is on its own. I do not recommend wearing it on its own if you like opacity, it took 5-6 coats! Over black, I used 3 to really get the white effect. You can get a neat effect with just one although I don’t find it super original. 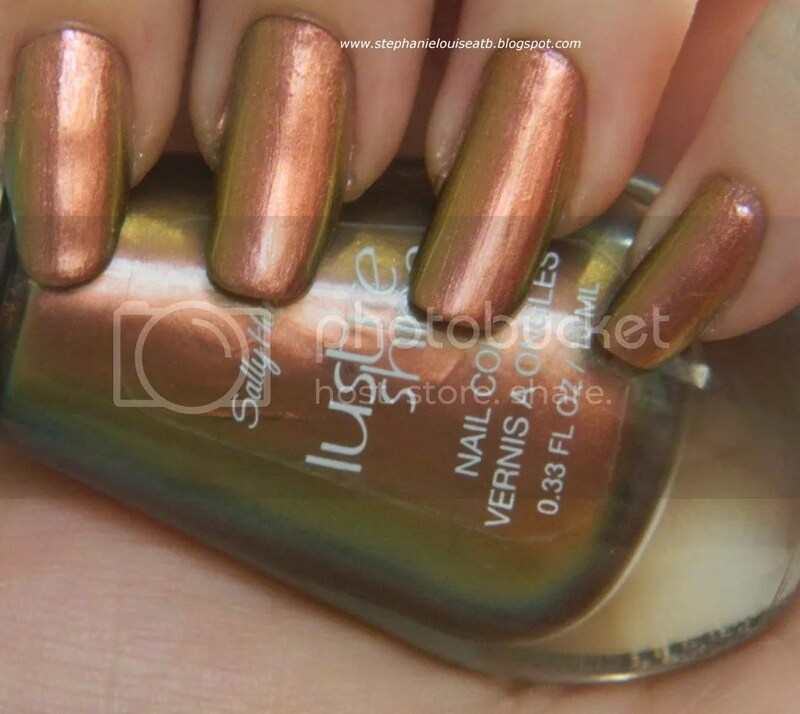 Sally Hansen Lustre Shine in Firefly: This shifts from a golden mauve, a green leaning turquoise, a pale golden green, with the main color being a pink toned bronze. I love this shade! 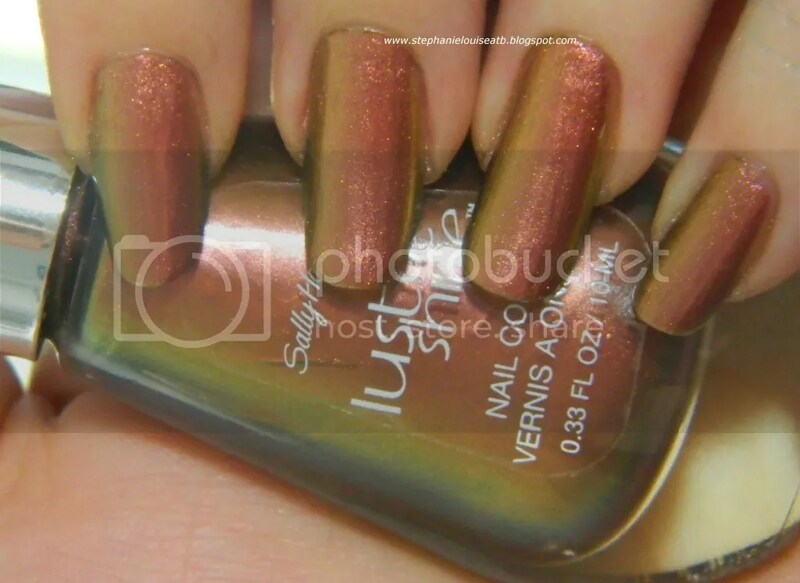 This also was definitely one of the easiest Lustre Shine polishes to apply. Seen here in 4 thin coats, no base shade. Love this shift & it is more apparent on the nail than in the bottle. Check it out with my cheetah print over it, gorg right? So there you have it! If you missed any of my prior swatches here they are! : Lava, Scarab, Copperhead, & Plume. Here are the bottle shots of all 6 as well so you can compare them! I still think these are pricey, even for duochromes. Do I regret paying the hefty price tag? Maybe a tad because I don’t see myself wearing a few of them. But that’s how it goes! I would have paid even more for Lava so it is totally worth it! I also love Scarab…perfect mermaid shade! Did you end up purchasing any of the Sally Hansen Lustre Shine Collection? Would you like to see them release more?